Natural disasters seem to be on the rise, and the devastating nature of recent floods in Australia has prompted Bass Coast Shire Council (BCSC) to enlist the help of a mathematician. The APR.Intern program – designed to build links between universities and industry – arranged for RMIT PhD candidate Hossein Pourali to work with the BCSC. 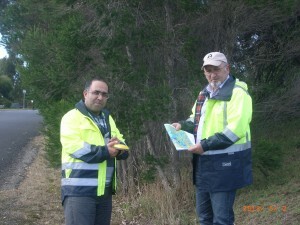 Together they developed a ‘digital elevation model’ to provide a deeper understanding of water flow patterns. Changes in land usage – no matter how small – can be responsible for large changes in water drainage. Hossein built on previous work by developing a model that incorporates natural surface drainage patterns, underground drainage pipeline networks, interconnecting drainage pits, buildings and impervious surfaces specific to the Bass Coast area. Coastal areas all over the world will be able to use the model as an initial planning tool for development and climate change adaptation. ‘The advantage of this model is its ability to be modified. Engineers and planners can now make scientifically based strategic planning decisions to support the on-going sustainable growth of coastal communities,’ said Paul Lennox, BCSC. APR.Intern delivers some of Australia’s young and fresh minds to industry, where they are needed most. Safeguarding Australia’s competitiveness in the world market.